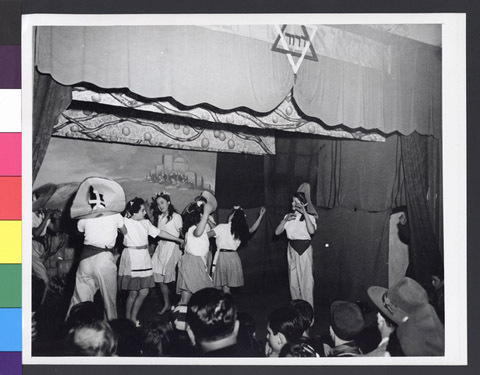 JDC - Archives : Jewish orphan DPs performing a dance routine for an audience. Title Jewish orphan DPs performing a dance routine for an audience. Description Members of the dance group at a home for Jewish orphan DPs in Indersdorf, performing before an audience which included members of the United Jewish Appeal.